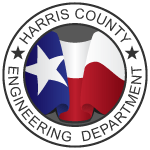 The Commissioners Court of Harris County, Texas adopts these Regulations in its capacity as the governing body of Harris County and the Harris County Flood Control District. The authority of Harris County to adopt these Regulations and the contents hereof is derived from Texas Local Government Code, Section 422, as amended, and these Regulations may be amended at any time by a majority of Commissioners Court as approved by the appropriate federal authorities. The purpose of these Regulations is to provide land use controls necessary to comply with Harris County’s NPDES or TPDES stormwater permit, to protect human life and health and to avoid increasing pollutant levels associated with storm water. All new developm ent and significant redevelopment within the unincorporated areas of Harris County, Texas without first securing a SWQ Permit, or submitting an In dustrial Activity Certification in accordance with Part B, Section 1.05 is prohibited. The Stormwater Quality Affidavit will be completed to the Public. This document will be recorded with the Harris County Clerk’s Office prior to the SWQ permit being issued. RSB will collect and pay the SWQ permit fee is $500. The fee can also be paid through the ePermits online payment system AFTER the civil plans have been approved. The SWQ permit will be issued at the same time as all other required permits for your project. If it is anticipated that the permanent feature will, in the future, be owned or operated by a MUD, a letter is required from the MUD stating that it agrees to accept the responsibility for the stormwater quality feature and the Stormwater Quality Management Plan. (http://www.eng.hctx.net/Portals/23/Publications/SWQ_example_%20MUD_letter%2010.20.15.pdf). RSB submits ALL SWQ permit renewals / transfers through the ePermits online system as required by Harris County(https://apps.harriscountytx.gov/EPermits/Login.aspx). RSB will collect county renewal fees. Permits are be renewed annually on or before the anniversary date of the Certificate of Compliance issued for the SWQ permit. If the permit is renewed on time the renewal fee is $250. If the permit expires the fee is $500. If the permit has been expired for multiple years, each year’s expired fee will be added to the renewal fee. Payment for the renewal and/or transfer is made through the ePermits online payment system using a debit/credit card. RSB has conducted such numerous projects in Harris County and successfully renewed the permits. Please feel free to call us at 1-800-304-6517 or email at info@rsbenv.com to get a site specific price for your property.